The April edition of Soult’s Retail Report has gone out to subscribers this morning, providing an insightful look at the last month’s store openings and closures across the UK. Not surprisingly, one of the retailers that features prominently this month is Poundland – partly because of the ongoing rollout of Pep&Co shop-in-shops within its stores, but also because of the recent decision to place its 99p Stores subsidiary into administration. With so much going on in terms of Poundland-related openings, closures, rebrands and ownership changes over the last 18 months, it’s not entirely surprising that media coverage of the developments has occasionally got its facts mangled. So, it seems an opportune time to remind ourselves what’s been happening with Poundland and Pep&Co recently, and to look at what is planned for the future. As ever, there’s even a Woolworths angle. Pep&Co is a new value fashion chain that made its high-street debut in summer 2015. Plenty of retail start-ups have crashed and burned in recent years, but the team behind Pep&Co has been impressive from the start, including ex-Asda boss Andy Bond, South African retailer Christo Wiese (Chairman of the Pepkor conglomerate, which is part of Steinhoff), and former Sainsbury’s and Matalan exec Adrian Mountford. I wrote about Pep&Co’s plans and positioning back in June 2015, before the first store opened. Pep&Co’s big splash at the time was its plan to open 50 stores in 50 days, starting with the branch in Kettering that I visited a few days before its opening. It didn’t quite hit the ambitious deadline, but did manage to open 50 stores in a little over two months. 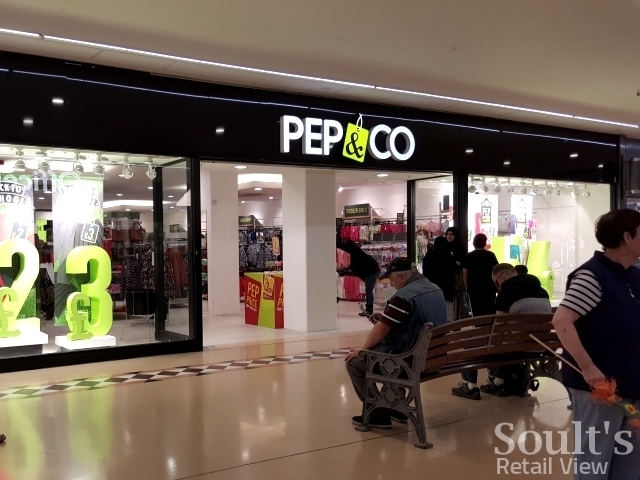 After pausing for 12 months to let the initial 50 stores bed in, Pep&Co subsequently added several more standalone stores starting last September, including a cluster in South Wales. What’s the link with Poundland? 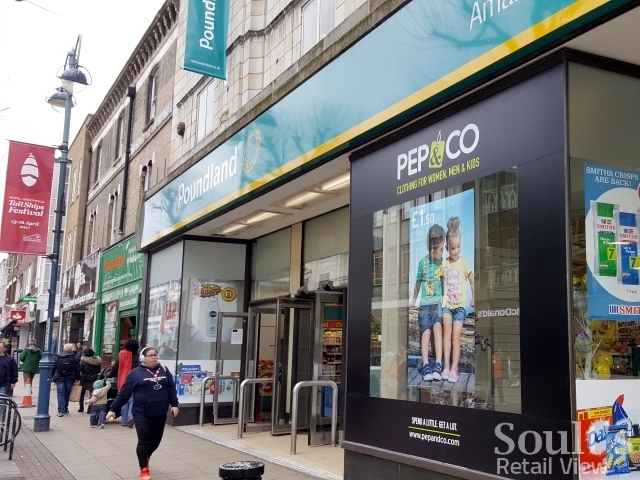 Starting in Hanley in February, Pep&Co has ramped up its expansion this spring by opening full-range shop-in-shops within existing branches of sister chain Poundland – which is now part of the same company since its acquisition by Steinhoff in September 2016. 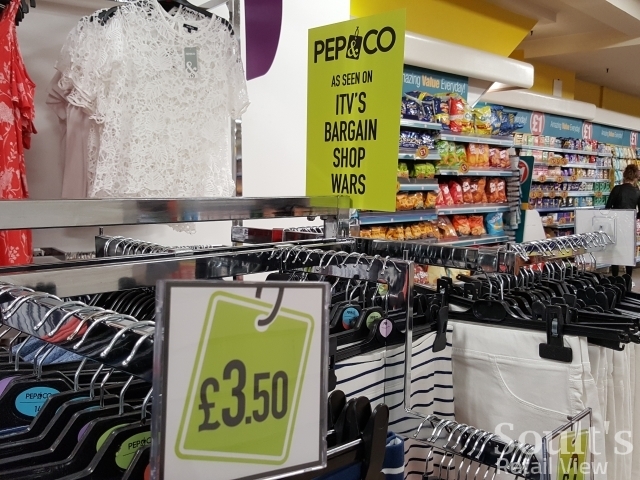 While sitting within a Poundland, these shop-in-shops look and feel much like any other Pep&Co, occupying a clearly defined area of the store, with Pep&Co fixtures and signage both internally and externally. This visual differentiation limits the chances of shoppers thinking that everything in Pep&Co is £1. Pep&Co’s 100th store in total is expected to open in Poundland in Wolverhampton’s Wulfrun Square on 5 May, 674 days after that first store in Kettering. That particular site is what used to be a C&A and TK Maxx, but many of the larger Poundlands that are housing Pep&Co – such as Uxbridge and Paignton, opened earlier in April – are ex-Woolworths, while others, such as Woolwich, used to be Marks & Spencer. In a few cases, such as Derby’s Kingsway Retail Park (opening at the end of April), Poundland and Pep&Co are opening together in a brand new store. 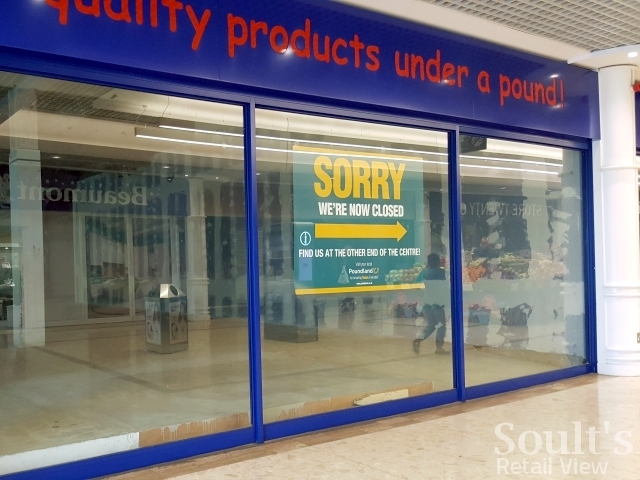 Another such store opened in St Helens’ Church Square shopping centre on 23 March, where Poundland has vacated the town’s former Woolworths site to move into the ex-BHS. Are you keeping up? What’s happening with Pep&Co after that? Presenting to retail commentators and journalists (including me) at the Woolwich Poundland store at the end of March, Pep&Co MD Adrian Mountford revealed that the chain will open a further 50 shops within Poundland branches, over a 42-day period starting in September, following the early success of the shop-in-shop concept. 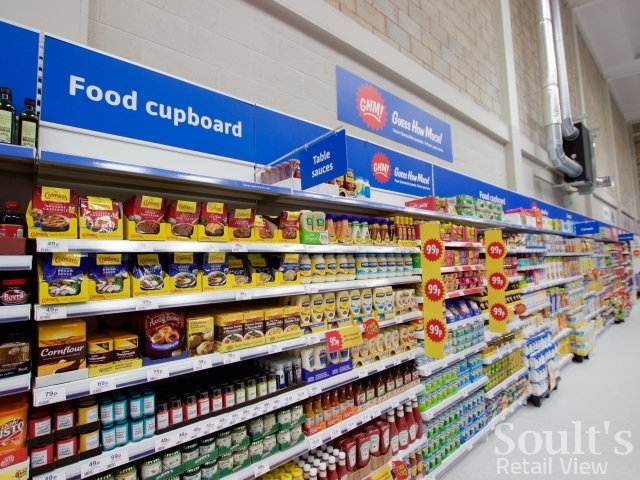 Citing the similarity of Poundland and Pep&Co’s customers as a key factor behind the success of the rollout, Mountford also revealed that Pep&Co shop-in-shop sales were not eating into the takings of their host Poundlands at all, but were all incremental. 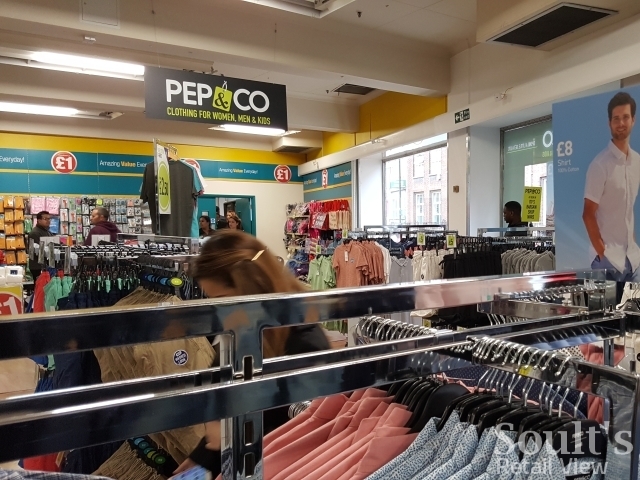 An edited selection of Pep&Co products – not all costing £1 – will also be rolled out to an additional 577 Poundland branches, following a successful five-bay trial in the Enfield and Chilwell Poundland shops. Does the association with Poundland not devalue Pep&Co? In Woolwich, Adrian Mountford highlighted the strides that Pep&Co had made in making its clothing even more fashionable and better value over the last couple of years. However, it’s fair to ask, as Retail Week put to me earlier this month, whether the Pep&Co brand risks being damaged from its association with Poundland. And what about Poundland, and its commitment (or not) to £1? Clearly, where Pep&Co operates inside Poundland it is already introducing a multi-price offer into these shops – and Poundland itself, particularly under the previous management, has dabbled with deals at non-£1 price points as it looks to stay ahead of competitors such as B&M. Speaking at the same event in Woolwich, Poundland trading director Barry Williams confirmed that Poundland would be officially launching a simplified multi-price offer after these various trials of products outside the traditional £1 price point. Williams was adamant that “we own the pound, we’re committed to it, and it is important for us that the pound is at the heart of the business”, but argued that “there is an opportunity to drive multi-price”. Whereas trials under Poundland’s previous ownership saw the chain selling products as unlikely as £20 water butts and £40 patio sets, the new offer will feature distinct 50p, £1, £2 and £5 price points, in clearly demarcated bays. Williams explained that “we will cherish and protect the pound price point, and the pound will still be king”, but that “where we can deliver great value at 50p, £2 or £5, and amaze customers through fabulous products, we will do”. Andy Bond, who is now also Executive Chairman of Poundland, added that the new price points will be neither about offering larger versions of existing products, nor a response to inflation; rather, they will be about introducing new categories – such as bed linen – that are unable to work at £1. What does this mean for Poundland & More? And Pepkor’s GHM! stores? With Poundland going multi-price anyway, Bond reported that the trial Poundland & More fascia has now disappeared. Similarly, the small number of GHM! variety stores that Pep&Co parent Pepkor UK launched prior to the Poundland acquisition have now all been converted to the Poundland format. At Sheppey and Hinckley, where Poundland and GHM! were previously neighbours, the existing Poundland has closed and relocated into the larger ex-GHM! instead. Responding to a question about Dealz – the stores that Poundland operates outside the UK – Bond confirmed that the company would look at putting Pep&Co inside Irish Dealz stores in due course, but that the future of the Spanish Dealz business, which only has 11 stores, was currently being reviewed. And where does 99p Stores fit in? Somewhat controversially, Poundland put its 99p Stores arm into administration on 27 March, allowing it to exit the leases of 60 unwanted stores. Under its previous management, Poundland acquired the 99p Stores business in September 2015. It rapidly converted most of 99p Stores’ shops to its own fascia, switching those to Poundland leases, with the last 99p Stores fascias disappearing beneath Poundland ones at the end of April 2016. Our last stores are due to close this weekend, to convert to Poundland. Who's planning a last shop for 99p bargains?! However, the takeover, initially announced in February 2015, was hampered by a five-month hiatus caused by a Competition and Markets Authority investigation into the tie-up – during which time the lossmaking 99p Stores got into even worse shape – and Poundland’s realisation that, even once the CMA had approved the deal, it would want to voluntarily dispose of overlapping stores anyway. When Steinhoff took over the enlarged Poundland in September last year, it quickly set in motion plans to close 80 previously converted but surplus shops, with many already closing – such as in Kent, and Warrington, above – earlier this year. Hence, contrary to what some of the media coverage has suggested, the administration of 99p Stores will have negligible impact in terms of what we will see on the high street: the 99p Stores fascia has already been defunct for a year, while the 60 affected stores appear to be nearly all ones that have already closed, with staff transferred to other nearby sites. The benefit for Poundland, of course, is that via the administration it promptly rids itself of the leases and obligations that it had been unable to offload to other retailers. This puts its own business on a more solid footing for future growth – driven in part by the Pep&Co tie-up – but is clearly not so satisfactory for the affected landlords. Asked also about the administration, which took place two days before the briefing in Woolwich, Bond declined to comment further, beyond referring to the administrator’s statement about the affected stores already being closed, and no jobs being lost. So, does all this mean that the single-price retailer is dead? 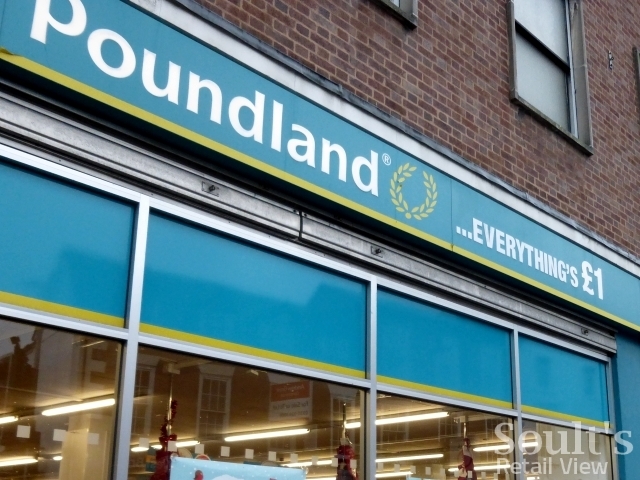 99p Stores is gone, Poundworld sometimes seems to sell whatever it likes (and has a separate multi-price chain anyway in Bargain Buys), while Poundland is making its multi-price experiments official. So yes, you can argue that we’re seeing the end of the strictly single-price retailer. Thinking back to the early days after Woolworths’ demise, we saw a lot of independent retailers dabbling with single price points, including almost every permutation from 89p Stores in Parkstone to The 90p Store in Spalding, Poundsworth in Girvan, Poundstar in Pinner, and a cluster of Pound-Marts in Scotland. Without exception, these all disappeared pretty quickly. That’s because single-price retailing is about more than just selling things that happen to cost £1 (or whatever other price point you choose). 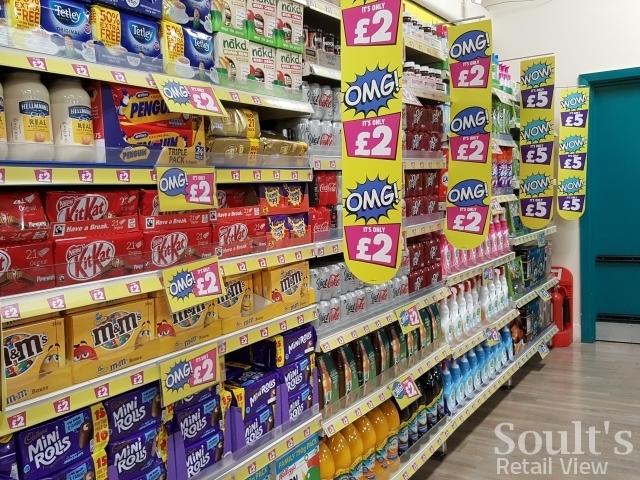 Where Poundland has been successful is in creating its own-brand products that offer surprising value at a £1 price point – like its best-selling reading glasses – or getting the suppliers it works with, like Toblerone, to create custom pack sizes that offer similarly good value. Not every branded product in Poundland is always cheaper than everywhere else, but, by and large, customers know that they’re going to get a good deal. Poundland’s logic seems to be that it can apply those principles to other price points, while avoiding confusing the customer or undermining the USP that made it successful in the first place. As I noted in Retail Week last month, it’s a balance that requires careful handling. That said, after the Woolwich briefing I feel more confident that the people who are now behind Poundland know what they’re doing, and have set in course a clear vision for what the business will look like: a pound-led store, supplemented with careful use of other price points, and with an instore fashion offer that really sets it apart from any of its rivals in the general retail space.